We’re all regurgitating the same information. I want people to say, ‘You know what? That was interesting. I hadn’t thought of that. The goal for the next six months is that we need more shows and less newscasts. Zucker made his comments in an interview with Capital New York’s Mike Allen and Alex Weprin. People who traditionally just watch the cable news networks [are] a great audience. I’m not trying to alienate that audience. But the overall cable news audience has not grown in the last 12 years, OK? So, all we’re doing is trading [audience] share…We also want to broaden what people can expect from CNN. What has Zucker thinking about cutting back on newscasts is the success of Anthony Bourdain: Parts Unknown, a travel-adventure show that was originally seen as a risky move, but which has emerged as CNN’s top-rated show. According to Allen and Weprin, Zucker is planning on making some badly needed changes in primetime, including the possibility of adding more series and films untethered to the news, and produced by outside production companies. While television has been the bread and butter for CNN since its founding in 1980, Zucker is excited about the network’s digital possibilities. That’s easier said than done, with news and information having become so commoditized, and with so much more competition than either the Weather Channel or ESPN has in their respective niches. 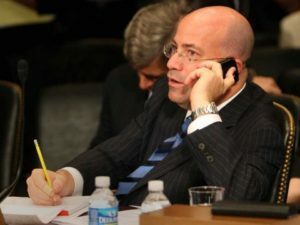 But for Zucker, who has so far failed to reverse CNN’s ratings decline, moving away from news sounds more like desperation than a serious strategic move to revive the network’s fortunes.